Stillin gfleet Lodge Garden is a quintessentially English garden, managed to be as wildlife friendly as possible. 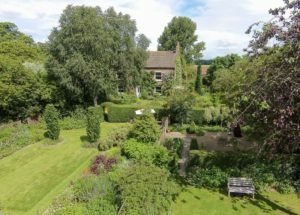 It is our family garden, lovingly planted-up over 40 years and now comprises a series of small gardens surrounding our family home, opening out into an avenue that leads to a wild flower meadow. 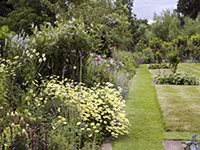 The planting emphasises a cottage garden style and every part is maintained organically. We purposefully leave seed heads as food for birds and limit cutting back to provide habitat for insects. 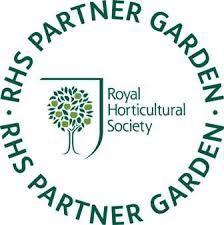 For visitors who prefer more formal gardens we have incorporated an elegant rill garden with minimalistic planting. You may also enjoy our art exhibitions in the tea room all summer and the wire sculpture exhibition in the garden during August. The perennial wild flower meadow is a haven for native plants and wildlife and we encourage visitors to sit and enjoy the tranquil atmosphere around the naturally planted pond. In keeping with our ethos of sustainability, we now have an organic vegetable plot, which is very much our kitchen garden. Together with the orchard and our rare breeds of poultry the garden provides us with food throughout the year. Here is a preview of the gardens. 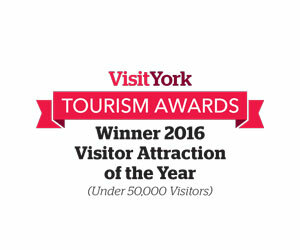 Situated just 6 miles from York, the Gardens are the Visit York Small Visitor Attraction for 2016 and have been shortlisted for the White Rose Awards. We also receive glowing reviews from both national newspapers and magazines. The garden incorporates a series of sumptuous herbaceous borders that change with the seasons and attract many species of insects. Foliage is used to add interest and texture to the beds and we use a range of shade-loving plants to provide colour throughout the year. 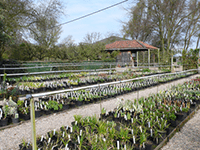 Many of the plants in the garden are available to buy in our well-stocked plant nursery next to the entrance to the gardens. 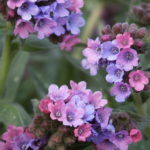 We have a particularly large selection of pulmonarias and geraniums. There is a huge selection of plants that thrive in the shade. The tea room is found within the lovely renovated barn and is a place to sit, relax and enjoy the peace. Look out for our Art in the Cafe Exhibitions. 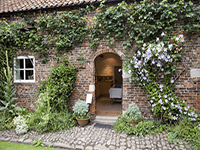 Homemade cakes and refreshing teas within our courtyard Tea Room are a must for every visitor. We are open at various times between April and September – please see our Visitor Information Page for dates and times. The gardens are large enough to spend an hour or two exploring but there is still a feeling of an intimate secret garden. 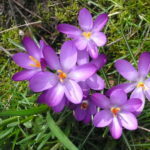 “Worth a long journey to visit” – RHS Gardens. “One of the best cottage gardens” – Gardens Illustrated. “Inspired plant combination… a tranquil delight” – Daily Telegraph. 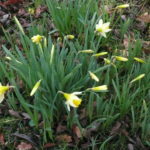 “At Stillingfleet Lodge nature and nurture combine to create a harmonious whole” – The Garden Magazine.